A cuppa and a chat for anyone! 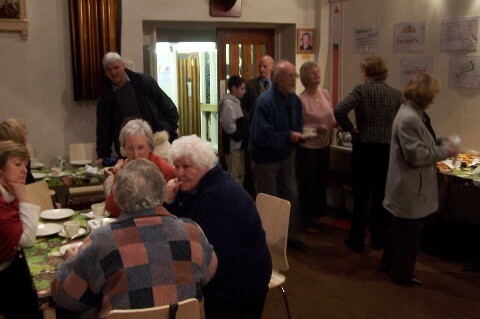 It must be over twenty years ago that we started a small coffee morning after Tuesday Mass, making do in the back room of the house on Spring Lane! We then moved to the little Meeting Room at the old Church, and now enjoy the space of the Atrium to serve refreshments every Tuesday. The Coffee Morning takes place every Tuesday straight after Mass at 10.00 a.m. - it's very rare for it to be cancelled, but check the Newsletter just to make sure. EVERYONE IS WELCOME! The Coffee Morning still takes place when we have funeral Masses on a Tuesday, but obviously doesn't start until all the mourners have left. Again, please keep an eye on the Newsletter for details.